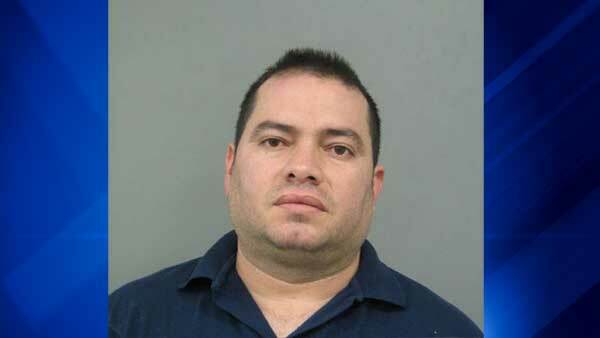 SKOKIE, Ill. (WLS) -- Gabino Torres, 36, was charged in the attempted abduction of a 13-year-old girl in north suburban Skokie. She was able to fight him off by hitting him with several padlocks she had in her backpack. Police said the girl, a student at Old Orchard Junior High, was walking to Niles North High School around 3:20 p.m. on Jan. 20. A man driving a blue-colored small SUV or crossover vehicle swung into a parking lot in the 4800-block of West Golf Road, got out of his vehicle and approached her. She told police he asked her for directions to a nearby restaurant. When she answered, he allegedly tried to pull her toward his car. The girl got away after hitting him in the jaw with the metal padlocks she was carrying in her bag. Police said he then took off. Torres, of the 7200-block of North Bell Avenue in Chicago, was charged with unlawful restraint and attempted kidnapping.